Please note that standard text messaging rates may apply for the customer depending on mobile plans. Go to the Terminal App and tap in Amount to be charged. Tap on the right-hand side drop-down to see possible options. Tap on ‘Notes’ to enter any custom notes. Go to Terminal App > left-side navigation > Tap Transaction List. 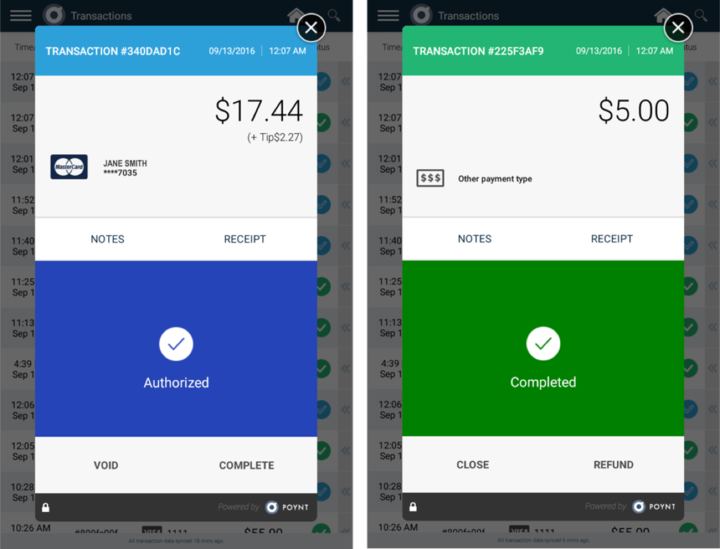 Tap on a Transaction to view Transaction Details. Tap on Notes to view any previously entered custom notes. Tap on Receipt to re-print a receipt. Connect the network printer to your router following instructions provided with the network printer. Follow instructions to print out a receipt with the IP Address information. 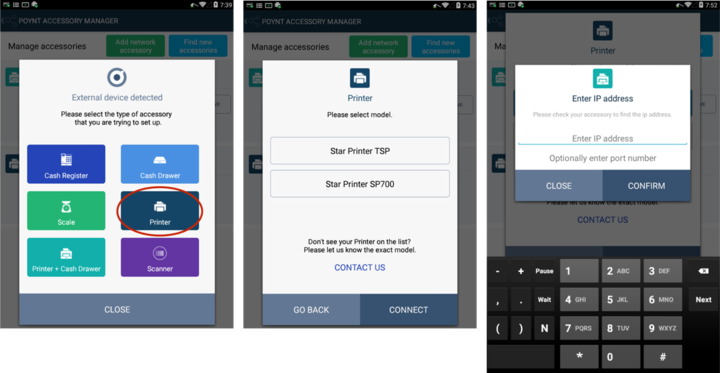 From the Poynt Smart Terminal, swipe down and tap Settings > Accessory Manager. Tap on green button ‘Add network accessory’. 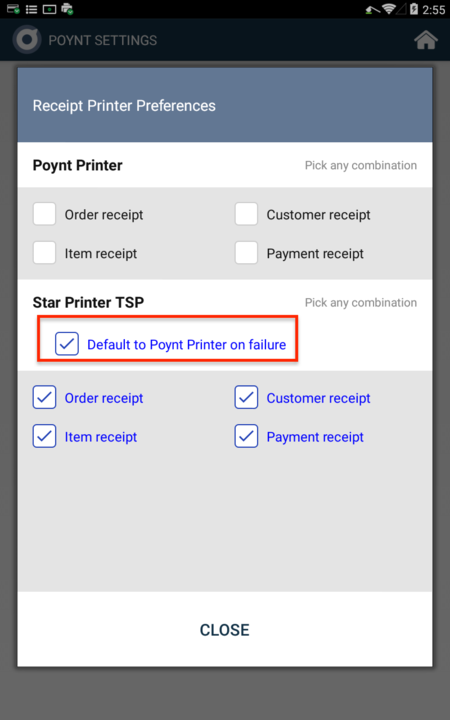 Tap ‘Printer’ and choose the specific model. Enter the IP address from the printed network setup information. Run a test print to ensure network printer was successfully added. 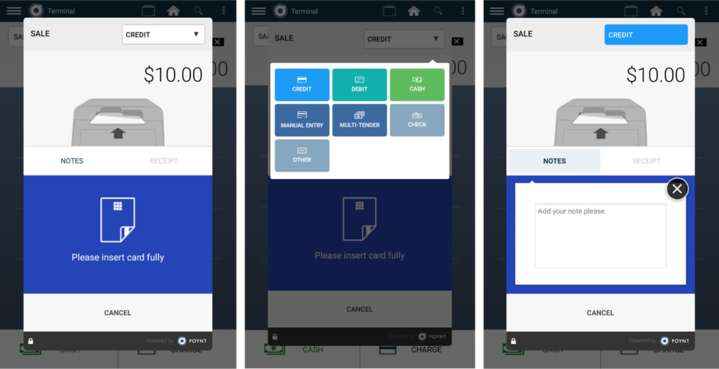 Note: Order receipt, Item receipt, and Customer receipt are specific to Register App order print options. 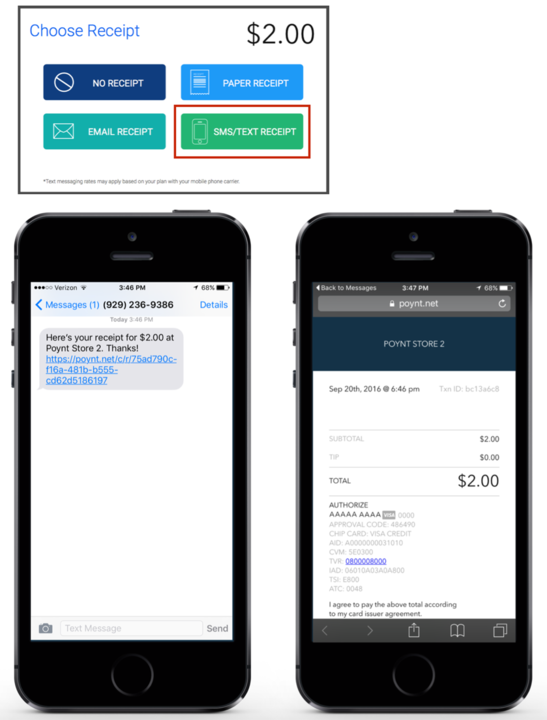 Payment receipt is the standard receipt that is printed from Terminal App. Merchants using the Poynt.net HQ web portal can now use new filters to review transactions in the Transactions List. 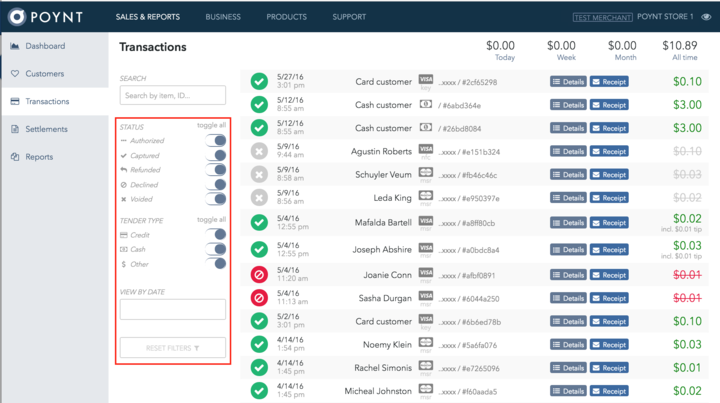 Click on Sales & Reports > Transactions. You may also choose to view transactions for a specific day. Merchants using the Poynt.net HQ web portal have an updated view for Customer List. You can now use new filters to review customer visits. Click on Sales & Reports > Customers.